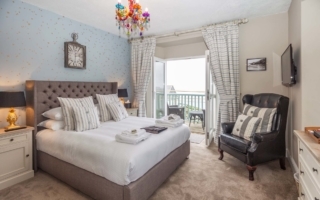 Our nine beautiful bedrooms make a stunning place to stay while visiting Cornwall. 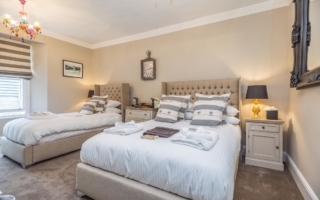 This beautiful Victorian house has been beautifully refurbished over the last couple of years to offer the utmost luxury. Egyptian cotton sheets, plump pillows, new bath and showers, WiFi, bathrobes, Molton Brown toiletries, hairdryer and Nespresso coffee machines. There are a range of options: twin, standard double, premium double and a spacious family room. Stargazy Inn is perfectly situated just opposite Restaurant Nathan Outlaw, one of the UK’s top restaurants. 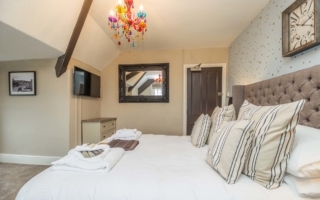 Turn left out the front door and you’re soon in the winding narrow streets of Port Isaac with great restaurants, shops and pubs round every corner. Turn right and 5 mins down the hill is Pilchards Cafe on the beach, serving cocktails and amazing plates of seafood, 50 yards further and you have The Port Gaverne Hotel, voted Cornwall’s top gastropub and winner of Best Pub in the South West at the 2018 National Pub & Bar Awards. To burn off all this overindulgence, you have some of Cornwall’s most dramatic stretches of the South West Coast Path on your doorstep, the stunning beaches of Perranporth 15 minutes’ drive away and a choice of three superb Atlantic Links golf courses only a few miles away: St Enodoc, Trevose, and The Point at Polzeath.